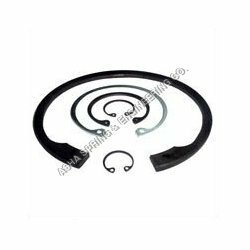 With years of experience in this domain, we have emerged as one of the reliable manufacturers, suppliers and exporters of Internal Circlips. These circlips are manufactured using high grade steel in strict adherence with international standards. Owing to their easy usage, accurate dimensions, seamless finish and longer operational life, our circlips are highly applauded in the market. We supply these Internal Circlips within the stipulated time at our esteemed customers destination. Our firm is dedicatedly involved in manufacturing, supplying and exporting a wide gamut of External Circlips. 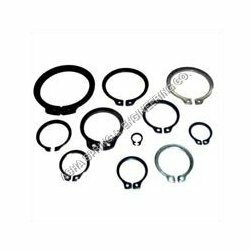 Quality assured raw material, sourced from authentic vendors is used in designing of these circlips. Owing to their high toughness, dimensional accuracy, flawless finish and high load bearing capacity, our circlips are highly demanded by the customers. To fulfill the varied industry demands, we offer these External Circlips in various sizes, dimensions and thicknesses. Looking for Industrial Circlips ?